At Call the Underground-Oasis Irrigation our plumbers are licensed by the State of Illinois, City of Chicago and certified as CCCDI Inspector by the Illinois EPA. We can Repair your RPZ device, Rebuild your RPZ device, Replace your RPZ device and Certify your RPZ device (called a Backflow Test.) We also test all overhead fire sprinkler backflow devices. We will always try to repair a backflow device as inexpensively as possible BEFORE we recommend a replacement. WHAT IS AN RPZ DEVICE? The RPZ (Reduced Pressure Zone) device is a valve used to stop backflow from your outside irrigation water from entering your water supply in the house and contaminating your drinking and cooking water. RPZ devices are utilized in many of the places we visit every day. 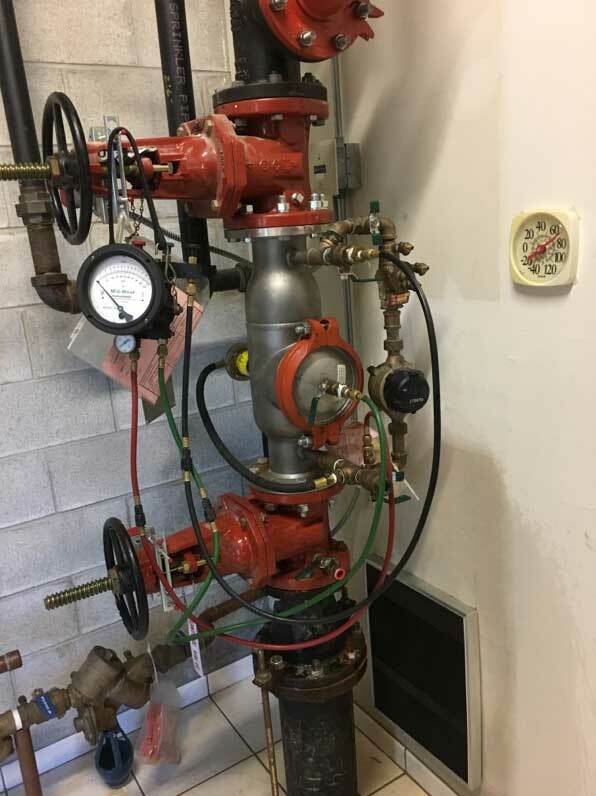 These valves are in use at restaurants, dentist offices, hospitals, business offices, and for overhead fire sprinkler systems in both homes and businesses, etc. There are many, many uses for RPZ devices and they are installed for our health and safety. In Illinois the Irrigation business is overseen by the Illinois Department of Public Health (“IDPH”.) The safety of our water, especially drinking and cooking water is one of their main concerns. The annual backflow test is required by law and is in the best interest of you and your family to have the test done yearly by a Plumber with CCCDI credentials. Illinois is one of many states that are complying with federal guidelines to keep our potable water sources safe and clean. 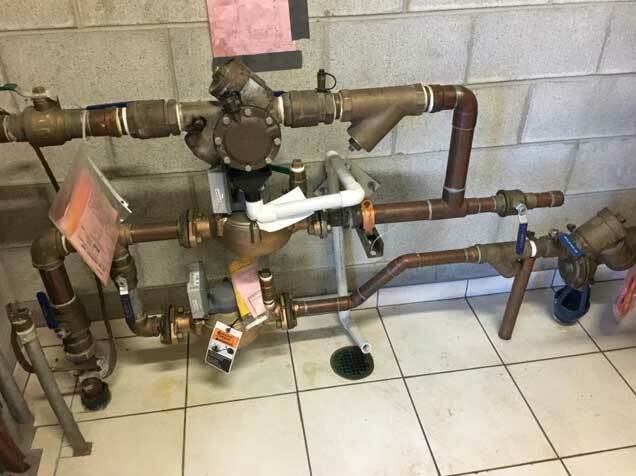 Backflow testing is the process of testing the RPZ valve to make sure it is operating properly and is stopping backflow from your outside irrigation water from entering your water supply in the house and contaminating your drinking and cooking water. A backflow test is conducted annually on your RPZ Device to ensure its proper operation. DO I NEED TO GET MY RPZ TESTED? Yes. In Illinois by law, all irrigations systems must have an RPZ device and comply with an annual backflow certification (backflow test.) Please call our office for an estimate for certification in your city or for a quote for an RPZ repair or replacement. Some cities have third party administrators monitoring the annual tests. Click here to see if your backflow test will also be assessed a city fee. WHAT IS A PVB?…..WHAT IS AN AVB? * A Pressure Vacuum Breaker. A PVB is a testable device. The PVB does not comply with current Illinois State Plumbing code for irrigation. The RPZ valve has now replaced the PVB for irrigation systems. *An Atmospheric Vacuum Breaker. An AVB is not a testable device. The AVB does not comply with current Illinois State Plumbing code for irrigation. The RPZ valve has now replaced the AVB for irrigation systems. DO I NEED TO GET MY PVB TESTED? If you have a PVB device, your city will decide if you need to have a backflow test and they will contact you. Some cities are now mandating that PVB’s be removed and replaced with RPZ devices. If you are notified by your city that they are mandating this change, you will need to install a new RPZ device and have your system tested annually. Should you wish to change out your PVB now and upgrade to an RPZ, please contact our office for a quote. DO I NEED TO GET MY AVB TESTED? No. If you have an AVB you do not need an annual test. In the future your city may mandate that you change this device to an RPZ. Should you wish to change out your AVB now and upgrade to an RPZ, please contact our office for a quote.